An established and multi award winning firm providing a first class service on all aspects of financial advice for private clients, business owners and trustees. 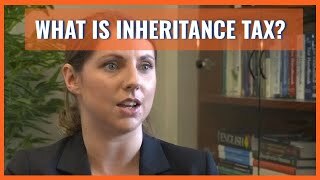 The wish to leave wealth to future generations and to avoid unnecessary Inheritance Tax are often key considerations. However, the understandable concern for your children and grandchildren has to be balanced with your own financial needs for the rest of your life. Fiducia has been awarded the prestigious accolade of Chartered Status, the pinnacle of academic training within the financial services industry reflecting Fiducia’s commitment to further raising standards of knowledge and professionalism. Integrity and openness are our core values and we recognise that no two clients’ requirements, situations and objectives are the same – our advice and solutions are therefore bespoke. Fiducia Wealth Management is an independent, established multi award winning firm of fee based independent financial advisers providing a first class service and financial advice to private clients, business owners, family estates, charities, pension funds and trustees on all aspects of financial planning and investment management. Based at our offices outside Colchester on the Essex/Suffolk border, we work with a diverse range of clients and professionals throughout the East of England and nationally providing independent financial advice. on 03.01.17	Read It’s been another busy month in Dedham with further qualifications gained and a new member joining the Fiducia team.